The Prisons and Probation Ombudsman, who investigates deaths and complaints in prisons, echoed the findings of the Chief Inspector of Prisons’ report of an inspection at HMP Nottingham. 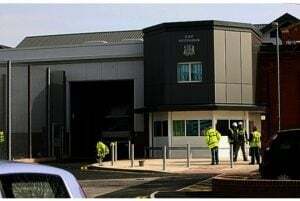 The Acting PPO, Elizabeth Moody, said: “It is highly troubling that HMP Nottingham has a history of failing to implement recommendations from our investigations into deaths at the prison”. The PPO makes recommendations following investigations into deaths in prisons so that the prison service can learn from mistakes and prevent them being made in the future. Final PPO reports on deaths investigations are not published until the end of inquests but important findings and recommendations that could lead to greater safety in a prison are shared with the prison and HM Prison and Probation Service (HMPPS) as they emerge. The Chief Inspector, Peter Clarke, wrote publicly to David Gauke on 18 January, invoking a new procedure to demand urgent action on HMP Nottingham from the Justice Secretary. He raised concerns over eight apparent self-inflicted deaths at HMP Nottingham in the two years up to January 2018, as well as high levels of self-harm. The importance of initial identification in prisoners of risk of suicide or self-harm. Assessment and management of those individuals, particularly applying multi-disciplinary assessment rather than relying on the way the prisoner presents and talks on arrival in the jail. Referring mental health concerns and issues to healthcare or other experts. The importance of staff responding, in line with HMIP expectations, when prisoners press their cell call bells and of staff entering cells promptly when prisoners are found unresponsive. There was still too much serious violence and disorder at HMP Nottingham despite staff working hard to address this, said Peter Clarke, Chief Inspector of Prisons. Today he published the report of an announced inspection of the local prison. HMP Nottingham holds just over 1,000 adult and young adult male prisoners. It was constructed in the 19th century but largely rebuilt between 2008 and 2010. It holds a range of prisoners, including those remanded by the courts, newly sentenced prisoners and prisoners nearing release. At its last inspection in 2014, inspectors were particularly concerned that levels of violence were far too high. This more recent inspection was announced in advance to give prison leaders time to focus on addressing these concerns. This inspection found that the prison still faced many significant challenges, but while much work still needed to be done, managers and staff were working very hard to address areas of concern. Progress had been made in all four healthy prison areas: safety, respect, purposeful activity and resettlement, although this was not sufficient in every case to change the assessments inspectors gave. offender management oversight arrangements needed to improve and some re-categorisation decisions were being wrongly made without appropriate risk assessments. reintegration work was developing well. “We were far more optimistic than when we last inspected in 2014. The decline in standards had been arrested, the culture within the prison had improved, and there was a real sense that the leadership of the prison had a grip on what needed to be done. The plans in place to make the prison safer and more decent were credible. However, much of the very real progress that had been made was fragile and a great deal of work was still needed to consolidate the position. “I am pleased that the inspectorate has noted the improvements that staff have worked on at the prison and that they continue to show progress in a number of key areas, but there is still more to be done to bring Nottingham up to the standard we expect. HMP Nottingham is a category B local prison holding young adult and adult men. This announced inspection was carried out from 1-5 February 2016. Please contact Jane Parsons at HMI Prisons press office on 020 3681 2775 or 07880 787452 if you would like more information or to request an interview. An investigation has been launched after a 29-year-old man from Derby was found dead in his prison cell. Shalane Blackwood, from Sinfin, was found unresponsive at HMP Nottingham on the morning of Wednesday, August 5. The cause of death is unknown and a file is being prepared for the coroner. Blackwood was jailed for conspiracy to possess a shotgun in August 2012 and was on licence recall.